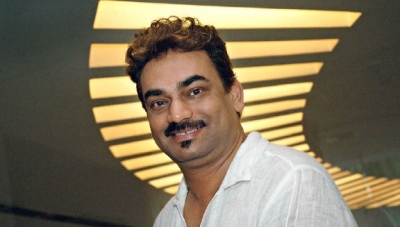 Noted designer Wendell Rodricks feels that International Film Festival of India (IFFI) should have a 'proper' red carpet like the international festivals to promote fashion. The Goa-based designer said that the rich Indian fashion can be promoted through the festival if organisers focus on the glamour side of it. "IFFI should give space to international fashion stars as they give to films. They should have a proper red carpet like Cannes and Venice Film Festival. Until and unless we have a proper red carpet, people won't start dressing up properly for the event," Rodricks told PTI while announcing 'Blenders Pride Magical Nights-Fashion selfie' contest here. The ace designer said that Goa has a glamour quotient to it and is a perfect venue for IFFI. "The festival is also a perfect venue to showcase fashion from various designers. They (IFFI) should concentrate on creating a proper red carpet, so that it can also become fashion-centric," he said. Rodricks recalled that IFFI earlier used to invite international fashion designers to talk about their creation for a particular film project. The Padmashri awardee feels fashion and films go hand-in-hand and outfits play an important role in shaping up a character well. "Fashion is an integral part of movies. When I was studying in Los Angeles, I got to know how important it is. I also met a designer who made clothes for Marilyn Monroe in her films," he said. Rodricks has designed the outfit for filmmaker Onir's lead actor Ashish Bisht in upcoming film 'Shab'. Beside working designer, he will also appear in the film. "While I was doing Onir's film, he told me that I was among those very few designers who ask so many questions while designing a cloth. If the clothes are well done, it helps the actors to get into a particular persona," he said. The 45th edition of IFFI is being attended by many international and national celebrities.